​Skeleton McKee brings you the best of rock and Celtic roots/folk/rock, pub songs, and a wee bit of trad, blues and country. This band will give you a performance that keeps your toes tapping and your hands clapping with a dose of humor on the side. 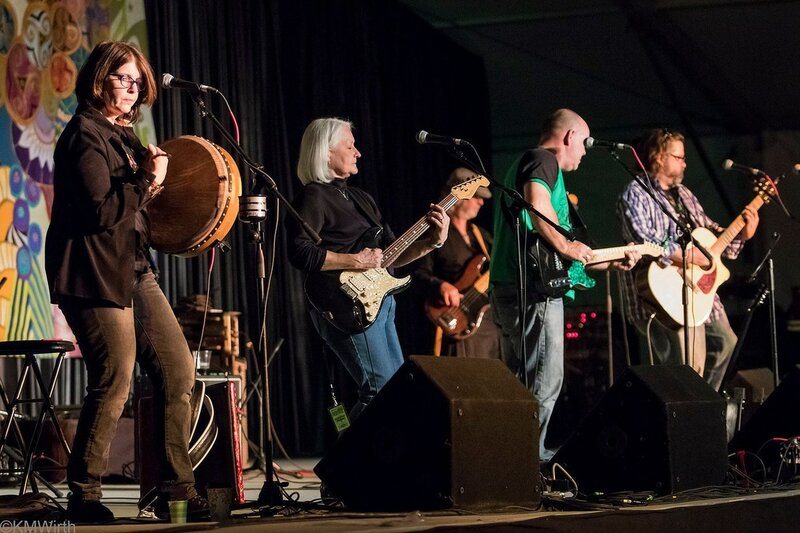 They have made a big impact on the DFW Celtic music scene, with performances at festivals, pubs and historical venues. Skeleton McKee's Celtic infused entertainment showcases great vocal arrangements, precision instrumentation and intricate rhythms. The band features tight vocal harmonies backing four lead singers. Their musicianship is showcased in the wide variety of instrumentation that includes piano accordion, bodhran, mandolin, banjos, electric guitars, bouzouki, acoustic guitar, harmonica, saxophone, electric bass and drums. Skeleton McKee comprises jovial, experienced musicians who combine impressively diverse backgrounds to deliver the cream of the Celtic tradition. Once you experience a live show, you'll know why their slogan is "All for fun and fun for all". Please visit our website at www.skeletonmckee.com for our up-to-date gig schedule, band photos and CD sales. Follow us on Facebook and drop us a line at skeletonmckee@yahoo.com.